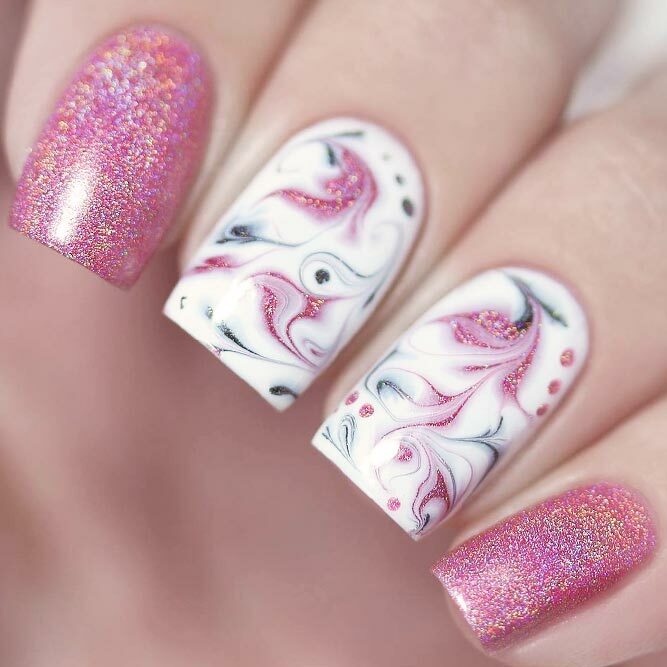 Pink Nails Designs are unofficially considered to be the representatives of femininity. The thing is that with the number of pink shades that are out there these days it is easier than easy to pick the perfect one for yourself. Yet we need to warn you that you should better pay attention to your complexion while picking the pink hue. The thing is that your Pink Nails Designs should not contrast too much with your complexion or be barely visible due to being the same shade as that of your skin. 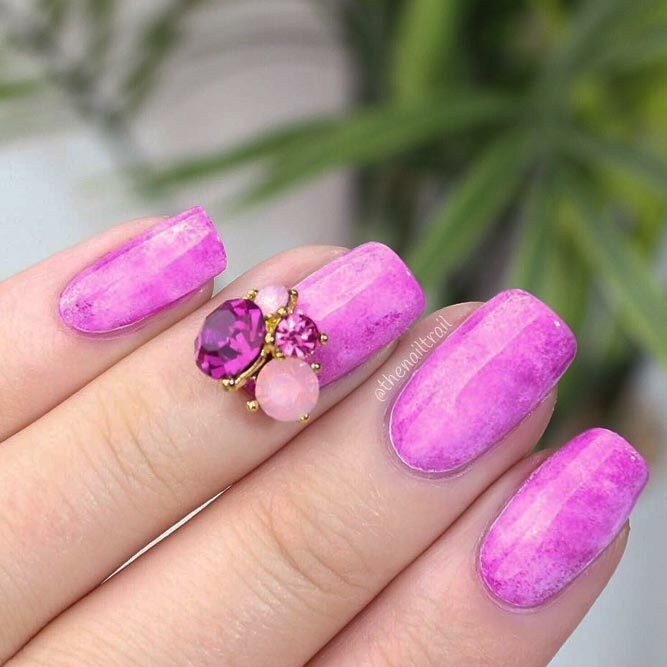 Once you figure that out we suggest you have a look at the compilation of trendy manicure ideas involving Pink Nails Designs that we have gathered here. You will definitely find something special! 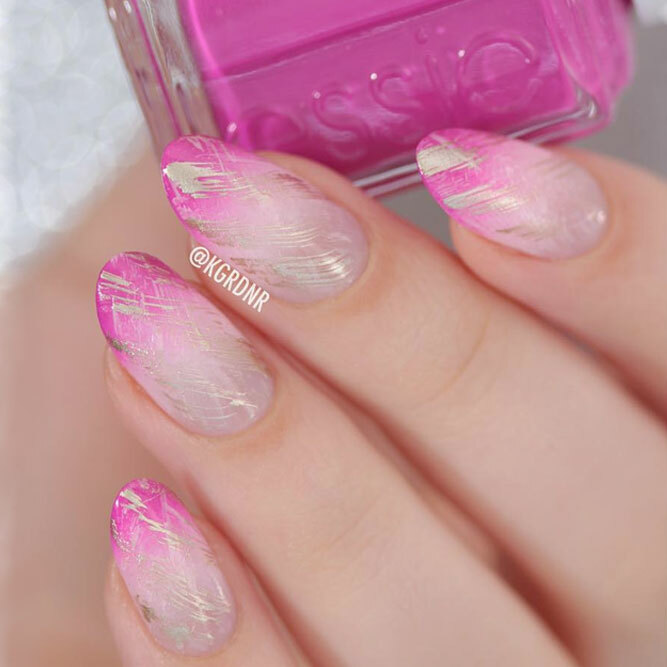 Light pink nails design, when combined with ombre technique becomes something beyond belief universal. 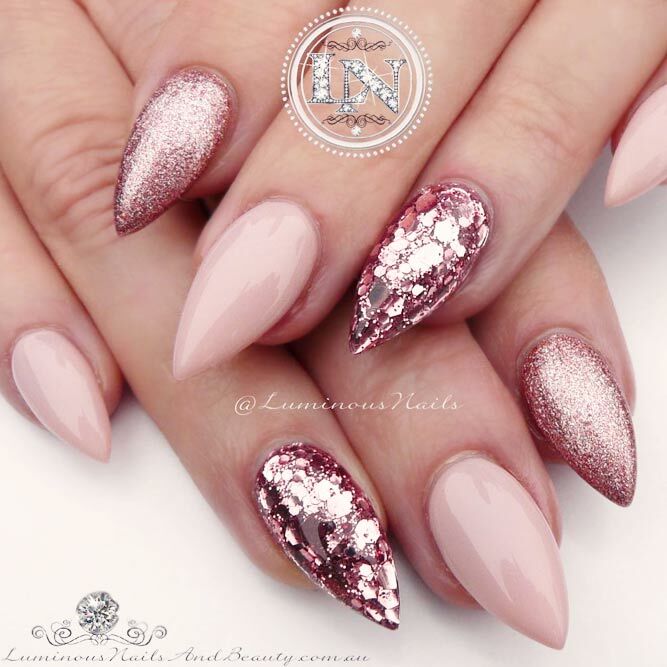 The thing is that the mixture of pink nail colors and ombre can be worn on a daily basis as well as to some fancy occasion so that you won’t need to spare extra time on your manicure. Isn’t it amazing? Women love lace, there is no doubt about that. 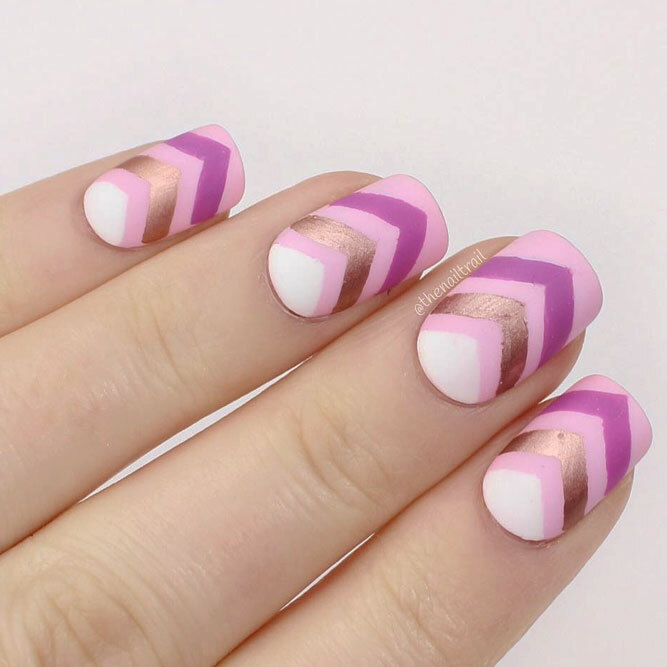 That is why we decided to present to your attention a set of beautiful pink nails with laced patterns on. It does not matter which look you prefer most – bold one or a little neutral one, you can find something suitable for you here. 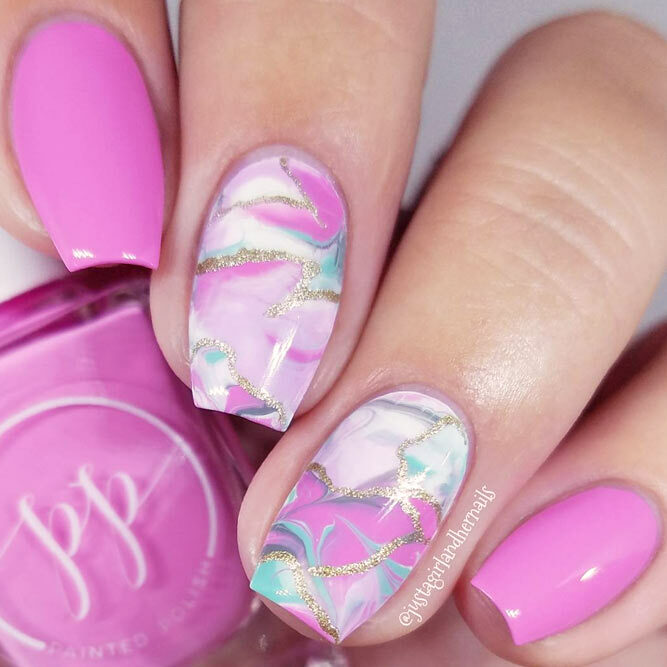 What is more, laced nail designs are perfect for a romantic date out. Just so you know. 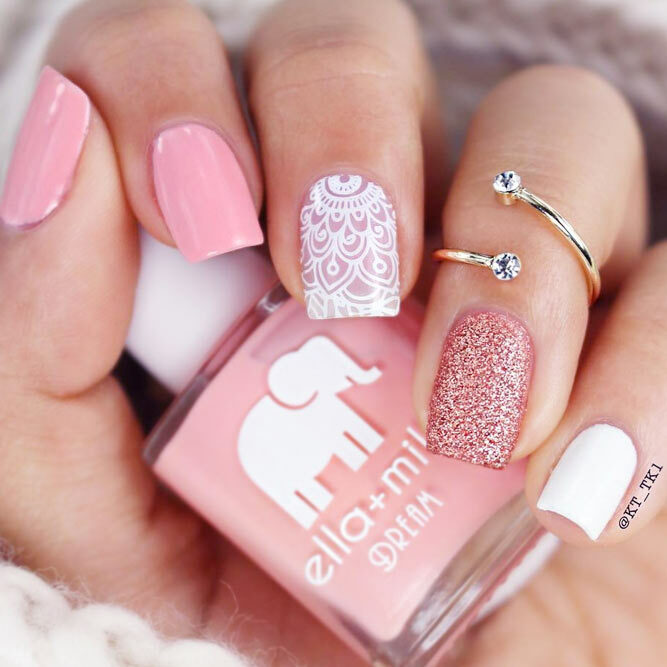 Hot pink nail designs are perfect for those of you with fair skin tones. The thing is that bright pink shades go well with those bluish undertones peculiar to fair complexion. What is more, when the shade itself is not enough, you should definitely opt for a fancy rhinestone pattern and add it up. 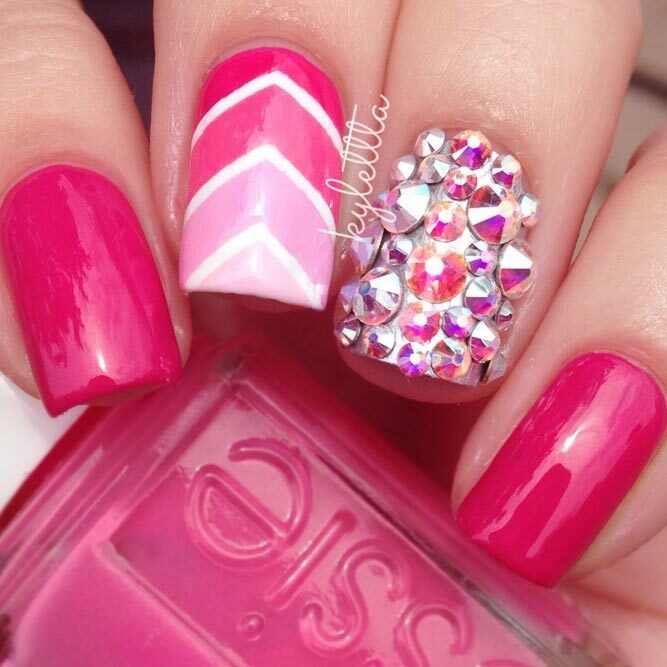 Both hot pinks and glittery rhinestones look perfect together! 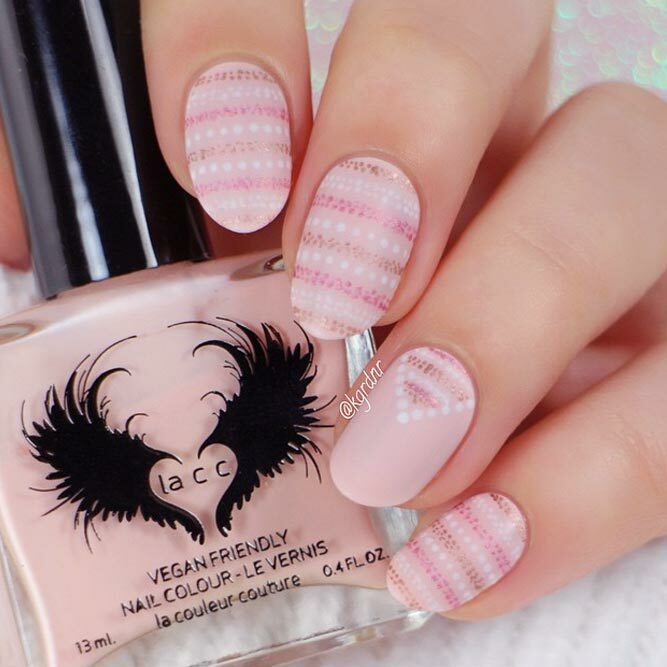 The best way to decorate your light pink nails coffin shape is to add up some contrasting dots to it. Besides, dotting patterns are easy to replicate at home by simply using a dotting tool or a toothpick in case you do not have one. When sheer dots are not enough, you can always introduce some additional pattern into your manicure, be it an effective metallic shade or a beautiful flower pattern.